Following the cultural phenomena of fika and hygge, the allure of Scandinavian culture and tradition continues in the Swedish concept of lagom. From home design and work-life balance, to personal well-being and environmental sustainability, author Anna Brones presents valuable Swedish-inspired tips and actionable ways to create a more intentional, healthy lifestyle. Instead of thinking about how we can work less, lagom teaches us to think about how we can work better. 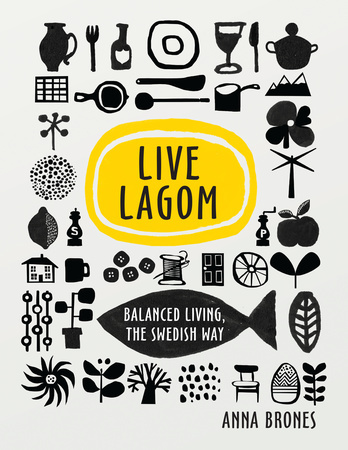 Lagom at home is about finding balance between aesthetics and function, focusing on simplicity, light, and open spaces. Health and wellness in lagom is a holistic approach for the body and mind–including connecting more in person, caring for self, managing stress, keeping active, and embacing enjoyment in daily routine. Live Lagominspires us to slow down and find happiness in everyday balance. Enter the Public Library and Others Stories Sweepstakes! Looking for more digital content? Penguin Random House publishes a number of eOriginal titles every month that are sure to heat up your catalog. Click for More eOriginals.